10PC DIY VINTAGE HOOP EARRING KIT. Another original Vintage Brass Shop design. You receive all the findings shown in the 3rd photo. 12mm natural agate gemstone bead pairs optional (4th photo). All findings are vintage in excellent, never used condition. Bead cages will fit beads from 10mm to 14mm. Cages are available separately. See drop down menu. 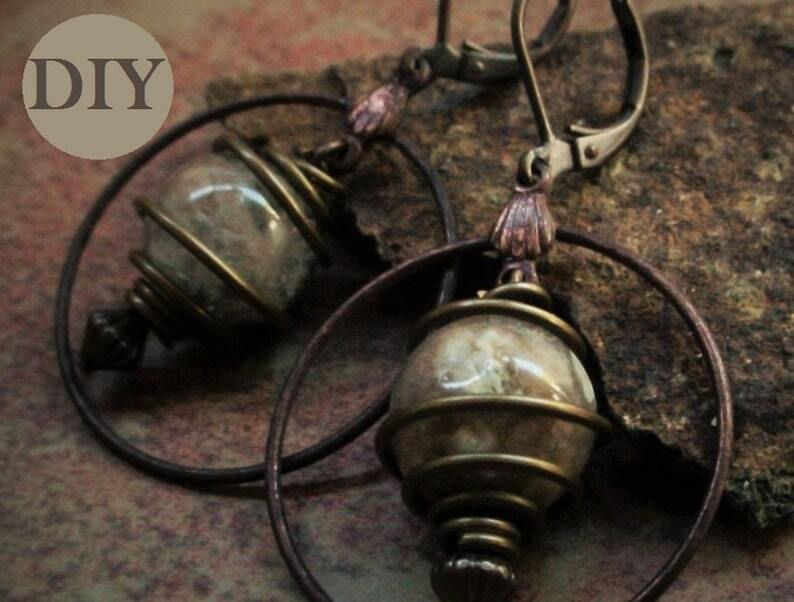 Hoops are oxidized copper/steel, all other findings are oxidized brass. Awesome! Really like these! Thank you!!!! Very rustic! These will be great!